Today’s Quote: Hey, That’s My Fave Vacay Spot, Too! Away from work! The Red Sox would be playing — and winning — and I would be with all my friends and Phish would be jamming it! Actually, anywhere the Red Sox are would be my dear hubby’s favorite vacay spot. 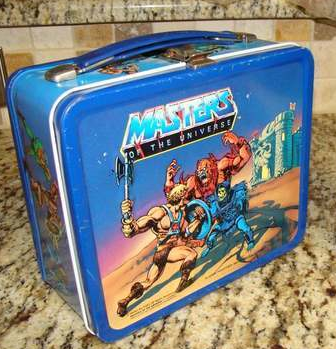 Mya’s most treasured possession is a Masters of the Universe lunchbox she uses to store tickets from every concert she’s been to since she was 6. This vintage lunchbox is available for $79 via eBay. As a paralegal, I kind of like to think of myself as the master of my li’l universe.